iPiccy's Designer Tab allows for a lot of creativity due to the volume of tools provided. 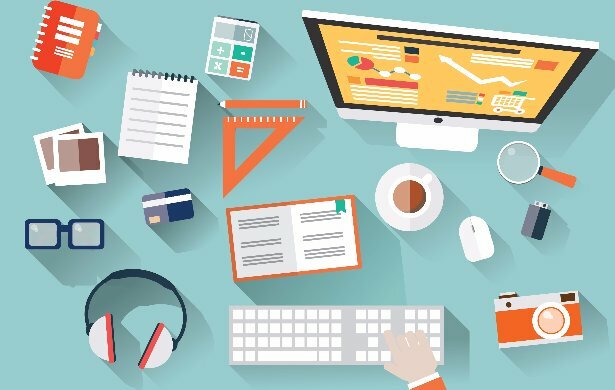 The Designer Tab provides you with so many different tools and free designs that it'd take you forever to truly explore every possible option. iPiccy's mission and purpose is to allow you to creatively express yourself however you see fit, and if that is through graphic design, you're in luck! 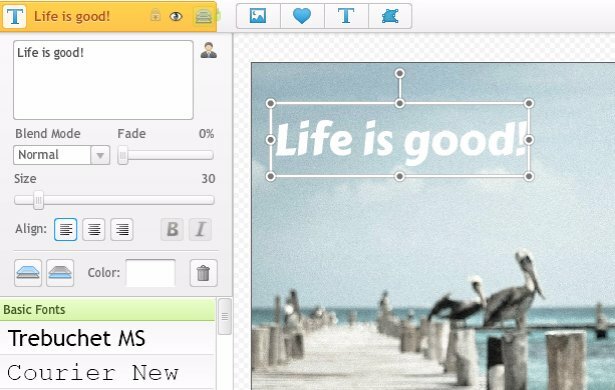 The Designer Tab gives you a text tool with multiple different fonts and options, the ability to layer different pictures, and even more than that it provides you with free graphic designs. 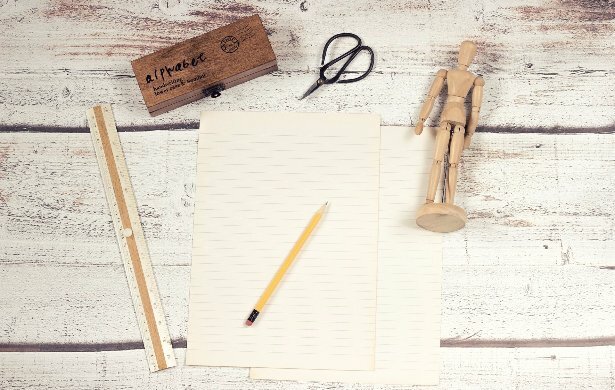 With all of these options and tools, it becomes abundantly possible to express your thoughts, profiles, and other avenues through something all your own. 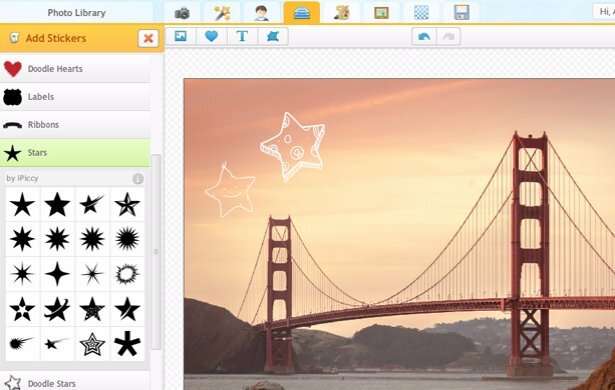 There is no free online graphic design tool like iPiccy's Designer Tab. iPiccy offers a bunch of different tools to enhance your pictures and customize your work as previously mentioned. Each tool in the Designer Tab comes with very specific added fine tuning. The text tool allows you different fonts, sizes, styles, and more. Combined this with the fact that each option in the Designer Tab allows this same customization you'll be able to change the smallest detail. You'll truly be able to dive in as deep as you want when creating your graphics. With iPiccy's straightforward layout and and options popping out when you select tools, everything is laid out for you the second you open the Designer Tab. You don't have to go searching for hidden options in the menu, troubleshoot locations, or waste time learning unnecessary things. It's all straightforward and right to the point, and incredibly simple. Let's also not forget the fact that anything you make in Designer Tab can be saved and re-uploaded for regular editing to add numerous different iPiccy effects (text, filters, borders, and more!) and other fine tuning. To then be added to the Designer Tab as a layer for another piece. Layers is an understatement in this case. That isn't to say if you're new to photo editing you can't use the Designer Tab. However, it is one of the more advanced tools due to its voluminous options and control. There are very simple tasks that can be done here, adding text and things of that nature are fairly simple. However, if you're delving deep into the graphic design power of iPiccy Photo Editor's Designer Tab, I'd suggest being fairly experienced. The potential of the Designer Tab is huge, but you have to understand the basics of photo editing if you plan on taking full advantage of the power in the Designer Tab. Normally we would explain how to use an effect or a guide to do something, but simply put the Designer Tab is too large for that. So we'll just list some of the more important tools inside that it grants access to.